PCV system. Without seeing your catch can setup its hard to know. Put the system back to std except the engine plate and see if it still happens. Have you got the PCV hoses connected to the correct ports on the catch cans? Last edited by lucky phil; 04-05-2019 at 04:50 PM. Hi Mike. Appreciate the feedback. Couple of things. I'm fully aware of what a catless set up smells like as i have had a few As my post says it's not the unburned fuel smell I have had many set ups. I fully agree a custom tune is where to go but I want to ensure car is solid first hense why I mentioned currently only running the canned tune. Stage 2 + to be exact plus it just getting out of winter and you shouldn't really hammer the car in wat with sub zero conditions. I have already reached out to stratified and once I install the TS wastegate and ensure this engine is good I will go full retard like my 300 was. This is an oil smell hence my post but I do appreciate as I said the feed back from you. As for your set up was the 421 on STD or SAE on a dyno as STD inflates numbers. Most of what I have read is around 400 to the wheels with water meth but not sure I want to do meth injection. 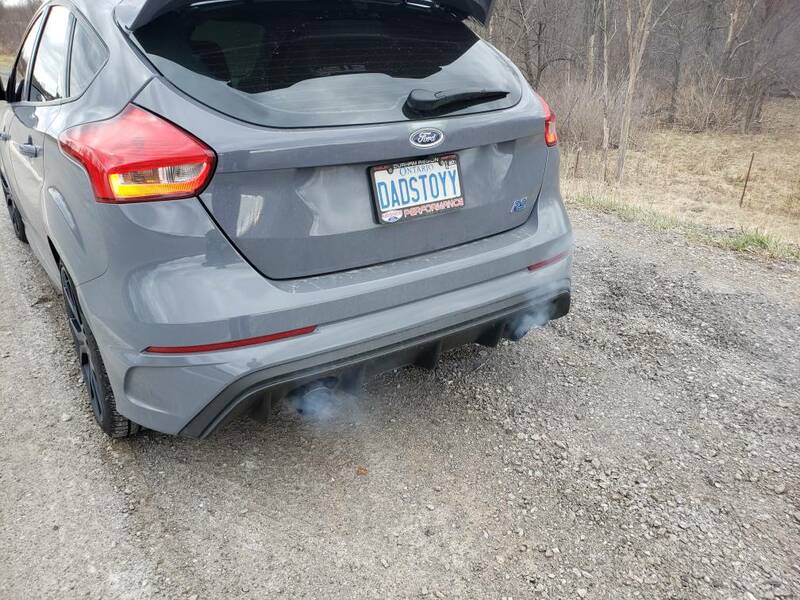 Did you feel the exhaust actually made a power difference because the stock diameter on the focus is good to around 450 or is it just for a better sound what were your dyno numbers before and after the exhaust as I'm really not sure if I want to invest in the cat back if there are no real gains. PCV system, probably the valve itself. Without seeing your catch can setup its hard to know. Put the system back to std except the engine plate and see if it still happens. Yes this was happening in stock and now modded. Bought the car 2 months ago at 50K and now have just about 5 k on it myself. I have done a mod each weekend to see what changes.